Every sheet has different colors and patterns, so no two sheets are the same. * This shipment was damaged during transit, and a small part of one corner is missing on the sheets. 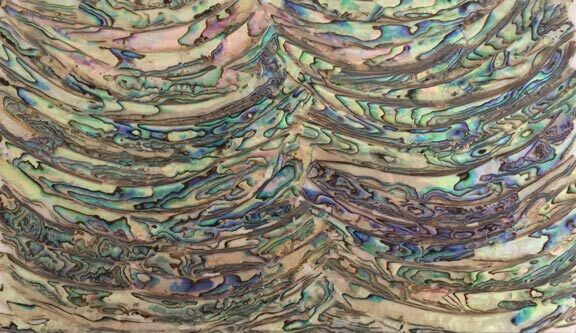 It is very similar to the Abalone Wave, which is also made from the lip of the abalone shell. Predominant colors are greens, blues and light pinks with some dark outlines.